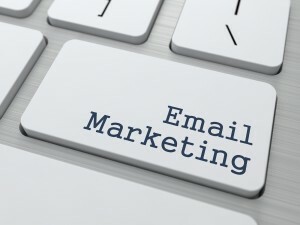 Email Marketing gains its reputation as one of the most impactful source of Internet Marketing. Helping from a small venture to a well structured Big Industry Giants, Email Marketing is able to reach to mail box of your forthcoming clients to the clients who are already knot up with you. Sending more emails lead you to the tag of spammer and sending less will lead you to the risk of less control over market. So to put you in safeguard zone from these two conditions, Email marketing tools is a must for each upcoming or well established organization. Now, we need an email marketing tool. This tool not even send mass email to thousands of your subscribers but at the same time provides you with extraordinary features like flexible Newsletter Templates, ready to be used for teams of all sizes, fast Automation and Personalization and at the same time comes with send any-time and anywhere option. MailChimp is the ruler of this market with more than a decade years of experience. It may be the best in market but may be not the best fit for your organization. If you want to make your email eye pleasing but visually formal at the same time, then Campaign Monitor is one of the best choices for this. Making your subscribed clients wait for your email or Newsletter is what you get from this tool. Some of its GUI features like pleasant Drag and Drop Email Editor, Ready to launch HTML Email Templates are the best part of Campaign Monitor. Apart from its amazing features, the Support team of Campaign Monitor is ready to help you 24/7 in every way. Fast Automation of Campaign, Inbox Preview and Compatibility with Mobiles some add-on’s of it. Aweber is the most admired tool for Email Marketing after MailChimp. With provisions like Best Email delivery rates, amazing customer support service accepted worldwide is the only reason for ranking in this Top 5 list for Aweber. Simple Pricing model to serve even 25,000 subscribers with its premium offer is one of the key points for Aweber to be in top Email marketing tools. Their subscriber gives full points to its services and amazing features. Exceptionally accepted Email Marketing, 100 percent uptime and reliable, easy to integrate with WordPress CMS are the key features of Aweber. If you are a new player in the world of Email Marketing, Then GetResponse will be one of the good choices for a new start in this field. Its Easy to use feature makes it a good start for a naive user. With its amazing Graphical User Interface, it is a choice for a beginner to an expert of this line. More than 500 beautiful Email Campaign Templates, Availability of Landing Pages and perceptive Newsletter Design make it to stand out of the bulk of other email marketing tools. Constant Contact is one of the feature-rich service providers in field of Email Marketing. Best part of its working is the approach by which it handles your list of subscribers. Import Contacts from Excel and Export list of contacts in excel form makes it’s working very manageable in nature. It always provide a end report of a campaign which discusses the unsubscribe contacts, email open rates, bounce rates and many more other aspects. Computerization of Email Campaign, better delivery rates, hundreds of well formatted HTML Templates, better organization of Contacts and reporting of Campaign in real time are key features of Constant Contact. If you are checking out for more alternatives for Email Marketing over MailChimp, then you can opt iContact. It offers its services from very small business units to very large scale organizations. Like others, it has amazing HTML Email Templates, Drag and Drop Newsletter Editor and Report Generator Features. Email Personalization is one of the features which make it different from other tools. It allows you to take a look at your subscribers and automatically personalize the messages. Scheduling your Posts and Tweets over Facebook and Twitter is stand out feature of iContact. For getting the best service of iContact, you can go for iContact Pro and Premium versions which offers you with the Enterprise level Email management solution for your business only. So undertake all these 5 choices other than the MailChimp and do share your views about these Email Marketing Tools with us.